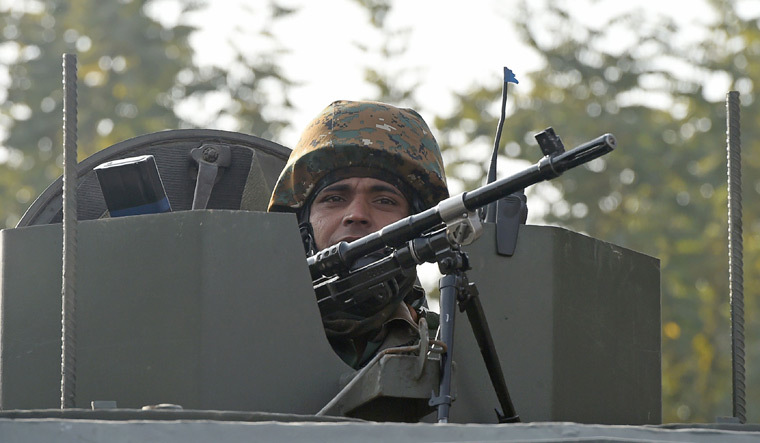 The Indian Army opened fire at Pakistan Army's administrative headquarters at the Line of Control (LoC) in Poonch district of Jammu and Kashmir, reported news agency ANI. Quoting sources, the report said that the attack was in retaliation to the motor shell firing by the Pakistani troopers in Poonch and Jhallas on October 23. The report, however, didn't mention when the Indian Army launched the counter-attack. Sources told ANI that the Indian Army had exercised maximum restraint during the operation. “The Indian side has consciously avoided targeting or harassing civilian population in Pakistan towns of Hajira, Nikial and Samani, which are in close proximity to the LoC,” said the report. People living in the neighbouring villages of Poonch have reportedly claimed that they witnessed smoke emanating from the attack site. Three Indian Army personnel have been killed since mid-September, prompting the law enforcement agencies in Jammu and Kashmir to re-calibrate their strategy to thwart Pakistan-based terror groups. Sniper attack by Jaish-e-Mohammed terrorists has emerged as a new cause of worry for security agencies in Kashmir Valley. Indian Army's counter-attack came two years after it conducted a surgical strike across the LoC destroying terror launch pads and killing many terrorists in the Pakistan occupied Kashmir (PoK).